I think I’ve shared with you before,I LOVE ANYTHING CARAMEL! When most of you are drooling over chocolate, I’m drooling over caramel. About a month ago, I was getting ready to do personal progress for the teenage girls in my ward, and of course, I had to take a treat. With it being Fall, my mind always goes to the flavors that scream the season. I had a lot of girls tell me that they didn’t like apple pie and didn’t know if they would like this.By the end of the night, the same girls were sneaking another square. It made my heart sing! This is super simple and will be a hit with everyone! Preheat oven to 300 degrees. Line the bottom of an 8 inch baking pan with parchment paper, leave enough to overhang the sides. Crust: In a medium bowl, combine the melted butter, sugar, vanilla and salt. Add the flour and stir until everything is well combined. Pour the mixture into the prepared pan. Press the crust evenly in the bottom of the pan. Bake for 15 minutes. Filling: In a different bowl, combine the apples, flour, sugar, cinnamon, and nutmeg until all of the apple are coated. Set aside. Topping: Yes, use another bowl, combine the oats, brown sugar, cinnamon, and flour with a fork until completely blended. Cut in the cold butter with a pastry blender or a fork. The mixture will be coarse crumbs. Set aside. Remove the crust from the oven. Turn the oven to 350 degrees. Pour the apples on top of the warm crust. Make sure they are spread evenly, and make sure the apples are pressed in tightly. With your hands, sprinkle the apple layers with the topping and bake for 30 to 35 minutes or it’s golden brown. When done, let cool until its room temperature, and then put it into the fridge for at least 2 hours or even overnight. This will help you cut your bars. Lift the parchment paper edges out of the pan and cut your yumminess into bars. Once cut, drizzle each bar with caramel sauce. I suggest our caramel sauce, the recipe is below. I was telling my mother in law about this caramel sauce. She told me that when she was a little girl, people would bring burnt sugar from the sugar mill because it always made the best caramel, in fact, this was the only way they would ever have caramel. You will be drooling over this! It will make your bars heavenly, but would be great ice cream topping. Heat the sugar in a saucepan over a medium heat, stirring constantly with a wooden spoon. Sugar will form clumps and eventually melt into a thick brown, liquid as you continue to stir. Make sure not to let it burn. Once sugar is completely melted, add the butter. Be careful, when you add the butter it will make it bubble rapidly. Stir the butter into the caramel until its completely melted. Slowly add the the heavy cream while continuing to stir. Allow the caramel to boil for about a minute, keep stirring. Remove from the heat and stir in the salt. Allow to cool for about 10 minutes before using. This looks beyond amazing!! Pinning this bad boy!! YUM! Thanks again for sharing at Small Victories Sunday Linkup! These look fabulous!! Yum I love Carmel too! Thanks for linking up to Merry Monday! Sharing on Twitter! Have a great week! Ooooo these look so decadent. Thanks for linking up on Oh My Heartsie Girls WW this week! These look so delicious! I am definitely going to try this recipe. Thanks for sharing! Wow, these look out of this world and I am drooling over that that caramel sauce. Yum! Love your recipes and thanks for partying with us. These look delish and would be great for a get together or potluck. Or just for me! LOL I've never made my own caramel before, I may just have to try it! Pinning! This looks so delicious! Pinned and Tweeted. Thanks for partying with us at Snickerdoodle Sunday. Kimberly, your recipes always make me drool. Sorry if it's TMI, but I'm fighting the urge to lick the caramel off of my computer. You are one talented chef and food photographer. We want to thank you for teasing us again at Welcome Home Wednesday! 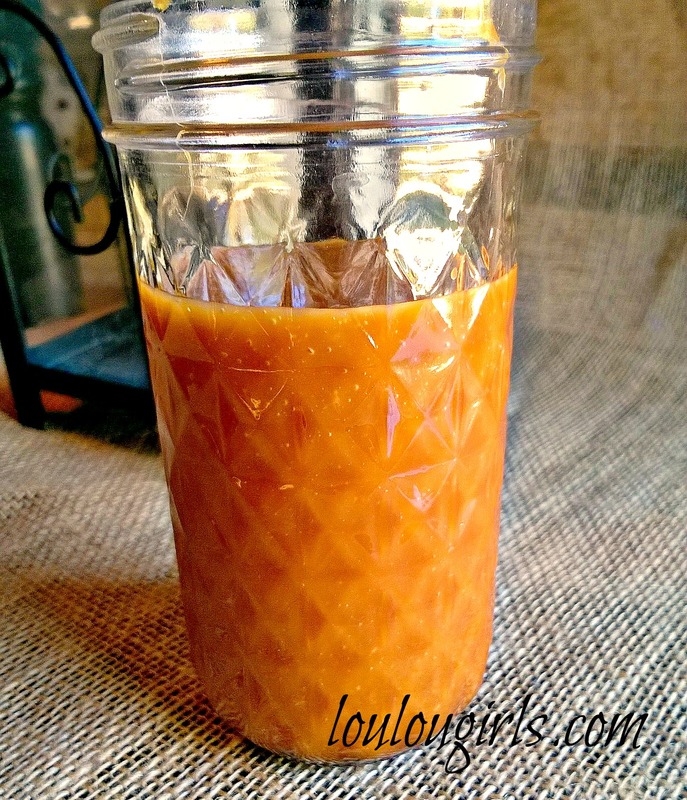 I agree – while I love chocolate, there is something extra special about caramel! 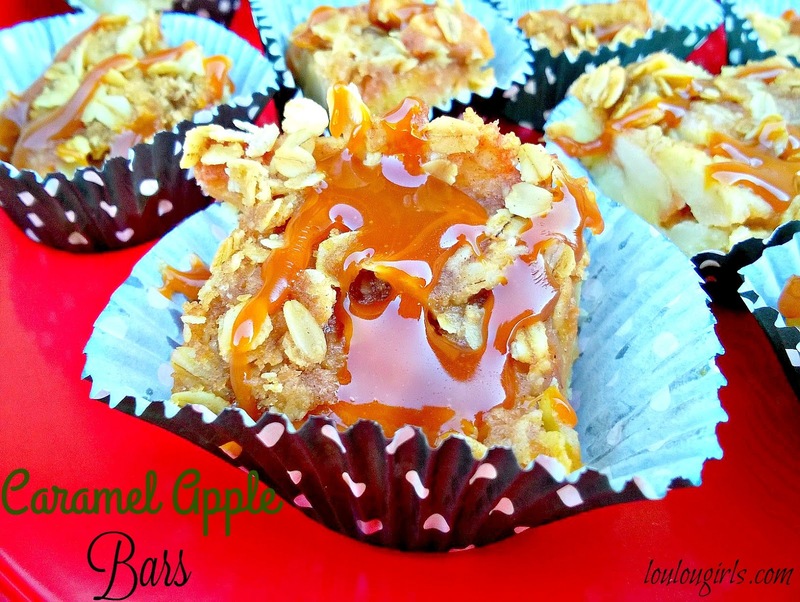 Your Caramel Apple Bars look delicious. Thank you for sharing them with us at the Hearth and Soul Hop. I love caramel, too, although I think chocolate would still win out. These bars look delicious. Pinning! These bars looks really delicious! I love caramel and apples! Thanks for sharing at Submarine Sunday!! 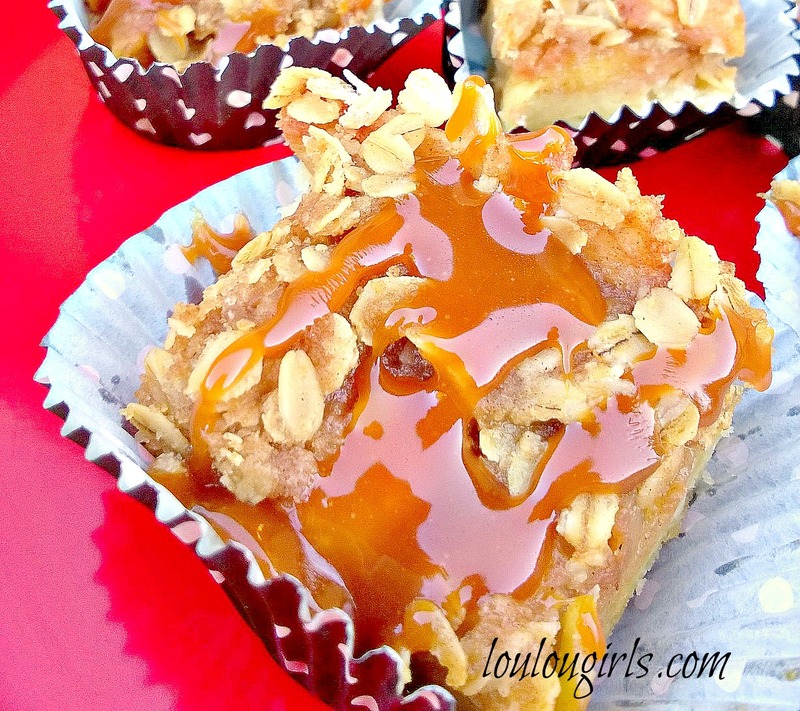 I have a sweet tooth, and I just love your caramel apple bars. Thanks so much for sharing with Foodie Friends Friday party. Pinning/sharing. I love caramel more than chocolate! Caramel in ice cream? I love it even more! Pinning this now. Thanks for sharing with Thursday Favorite Things! We are so happy you joined us. 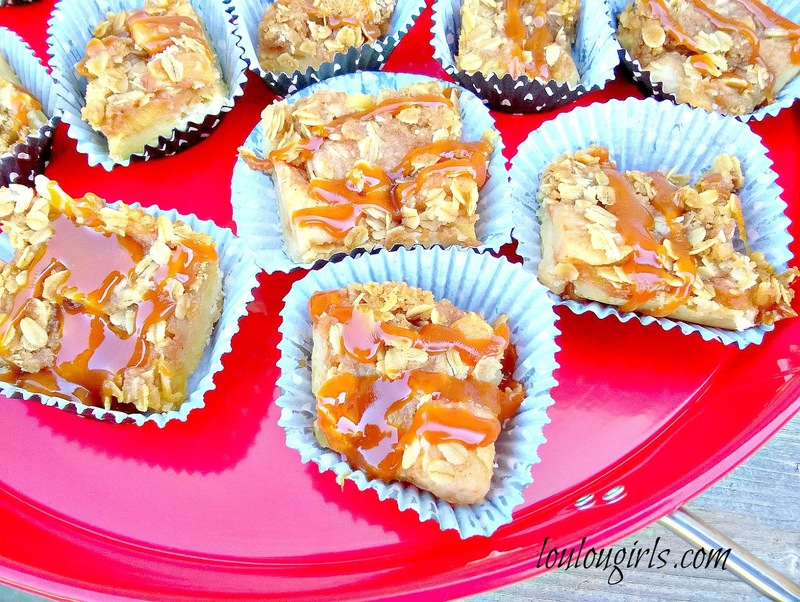 These caramel apple bars look tasty! I am featuring you this week! Angelina @ Petite Haus. thank you! I really appreciate you doing that!